…of writing in this thing, so I thought I’d better start again sharpish before it becomes another ‘that thing I intended to do’. Having said that, today is probably not the best day for me to be writing though, since I’m really not feeling at my best, to say the very least. 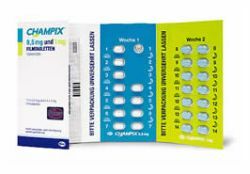 Some of the side affects of the drug Champix (Chantix in the U.S.) are so bad in terms of psychiatric depression and suicidal feelings that the F.A.A. have banned all pilots and flight control staff from using it. Now I know that I’ve had a real, live, actual poopy time of it lately so certainly my mood was bound to be a little off kilter, but I confess my brain has been in places it’s never been before during the past while and I didn’t like it terribly much. So I’ve stopped taking them. I’ve no doubt I’ll be wobbly for a week whilst my body adjusts to the lack of it, but I’m willing to place money on my mood lifting again in a week or so’s time, after a couple of months of frankly mostly inexplicable and revolting miseries. So yes, bring that right on, do not pass go, do not collect £100, yes please thank you may I. So there you have it. Just me and my willpower versus the dreaded weed now… ~rolls up sleeves~ and I’m determined not to go back to smoking. I’ve set myself a weight-loss target too while I was at it, in order not to fall into the trap of noshing on everything that I can get my hands on to fulfil the hand-to-mouth habit. I think after a couple of months already clear I’m going to manage it myself, I had that little bit of help (though obviously I don’t think it had a very positive affect on me otherwise) and now I’m flying solo. Luisa quit too and doesn’t take anything, so that helps inspire. So, where else am I, what’s been going on. I guess most couldn’t have missed the fact via Facebook, Twitter or Livejournal that Luisa (wyfe2) and I just returned to New York having only very recently visited with her wonderful father Tony (Anthony Rossi) back in December. Sadly he passed away on Jan 3rd at the grand age of 93. He was much loved and will be dearly missed, having touched many lives. We travelled over the moment we heard for the wake, funeral, internment and repast. Since Luisa’s family are Italian Americans, funeral traditions dictate an open casket and a two day visiting wake prior to the actual service and internment. It was an incredibly tough and sad week, not least because she was burying her father of course, but unfortunately for other heartaches that reared their heads too. I have no desire to discuss those here but suffice to say we’re both hanging on in there right now, taking time for ourselves to heal and recuperate. During our week in New York (after the funeral of arrangements) we were very fortunate to be taken in and looked after on short notice by several wonderful people, all very old dear friends of Luisa. Though I’d met them all on previous visits, it was heart warming to be so warmly welcomed. Here is George, Luisa and Felicia. George was still known as Georgie by Luisa’s father Tony! George grew up in the house directly opposite Luisa’s so they really have known each other since Childhood. He’s Greek and Felicia’s Italian, so as you can imagine the food was glorious, constant and copious! Their new house out in Ossining (Westchester County) is really very lovely, ranch style with a huge rear lawned garden. 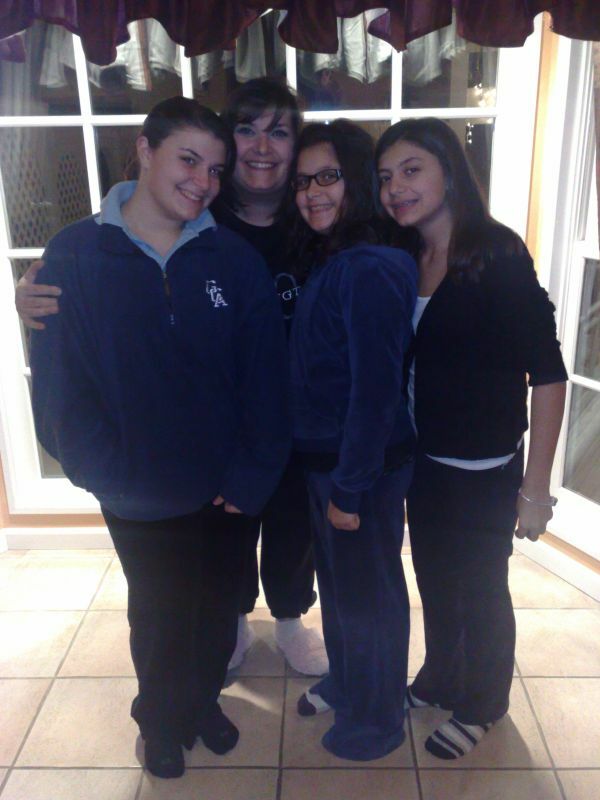 Below is Felicia with her three lovely daughters; Stephanie, Nikki and Bella. 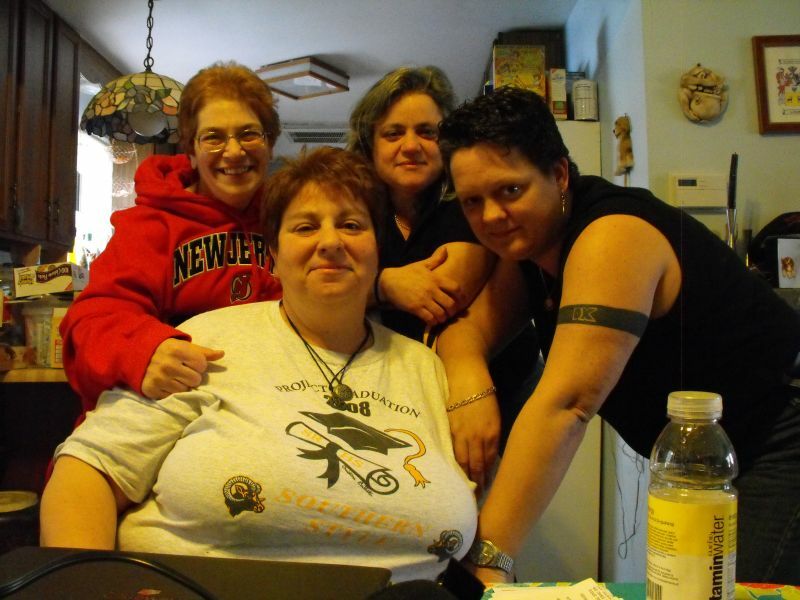 Below is a picture of Ann Marie in red, who recently had stomach bypass surgery and has lost an enormous amount of weight, her wyfe Dora, Luisa and of course me in their smashing house at Little Egg Harbour (Tuckerton) in New Jersey where they live with SEVEN cats and FOUR dogs! They are Italian too and fed us huge, gorgeous food. So determined to cheer up Luisa were they that they took us to Atlantic City for an evening of cards at tables and slot machines! I don’t gamble so simply took in the ambience (table dancers!) and then enjoyed myself briefly blowing a pre-determined five dollars on the penny (cent) slots. 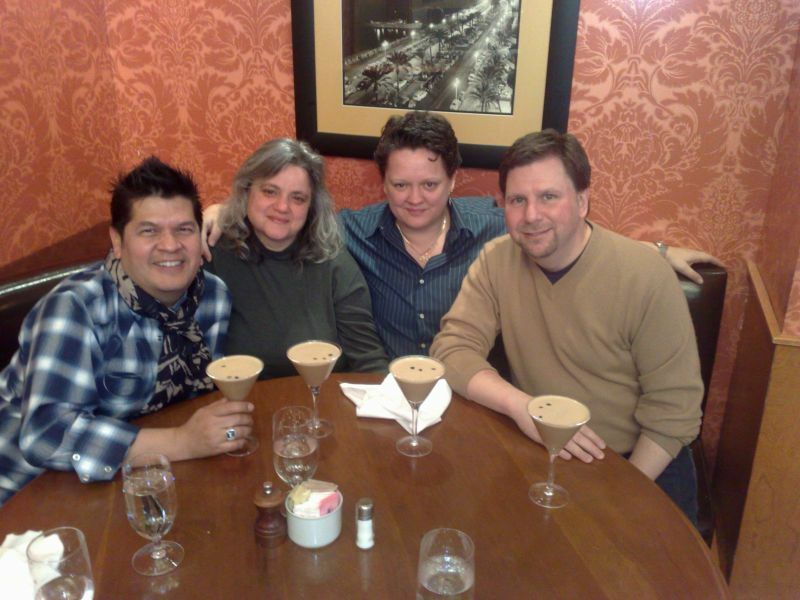 Below are Tim, Luisa, myself and Jack having brunch and Espresso Martinis. Sunday brunch in Manhattan is one of Luisa’s favourite things apparently and I was delighted to discover why for myself. Great food, wonderful service and stunning cocktails. Jack and Luisa go back a long way, have lived together in their misspent youth and share many tales of adventure during our visits there. As a reasonably affluent couple they live in a very cool apartment in Manhattan with their dog China, a pitbull with the sweetest temperament! We all took her for a walk alongside the Hudson River and marvelled at the enormous ice floes floating downriver. It was so cold that I thought I’d caught the sun momentarily, before I realised it was windburn! Tim is in fashion and gave me a super pair of Prada shoes. Coming home we had one last adventure. Upon reaching the airport we discovered to our horror our flight had been cancelled as Heathrow was down to one runway and Gatwick was closed! They swiftly bumped us up to Club Class on a small private plane, which took us to London City (in the Docklands) instead. Serious luxury; bed-seat-pods with champagne nightcaps, pre-flight luxury lounge and supper, hostesses who spoke to us by name and only 32 seats on the whole flight! We did pay for it in a roundabout way however with a three hour trip carrying luggage on the D.L.R. (Docklands Light Railway) and the Underground through the snow, delays and diversions at the other end… since we’d parked our car at Heathrow and were of course on completely the wrong side of London. Ah well, it was worth it while it lasted.